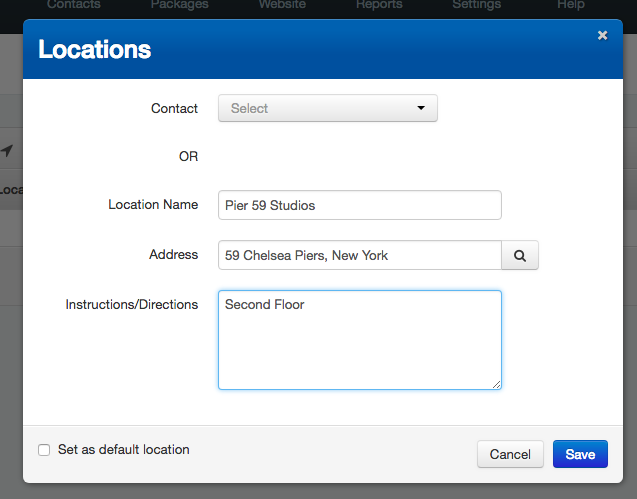 Add a location in 2 simple steps. 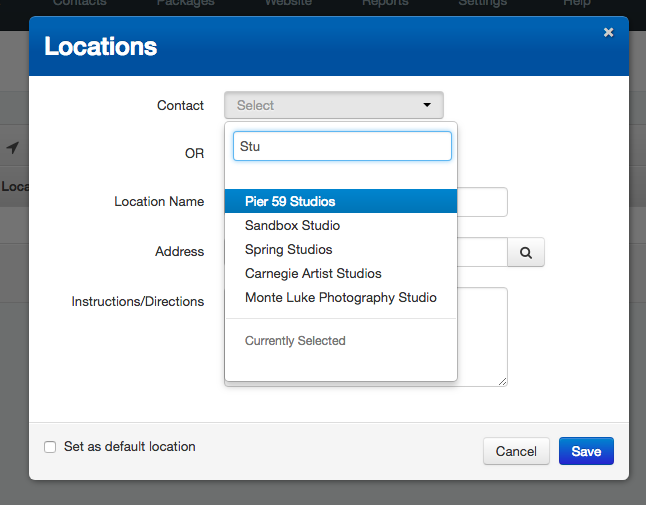 Once a Location has been added, you can set it as the default location - this means that it will automatically be assigned to all schedule types once you start adding talent to the booking. 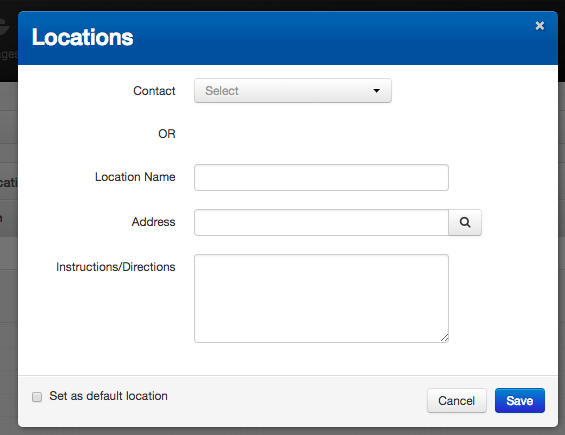 You are able to add in several locations, which will appear as a list in the locations tab. If a location has been marked as a default location it will have a tick next to it under the default location column. Locations are able to be assigned individually to talent and their schedule, once talent have been added to the booking.